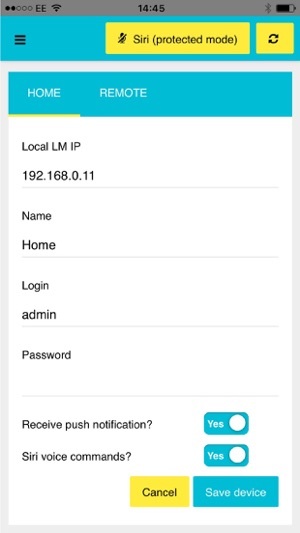 - App is automatically finding all devices on the network and there is no need to know it's IP. User and password can be saved to simplify connection. 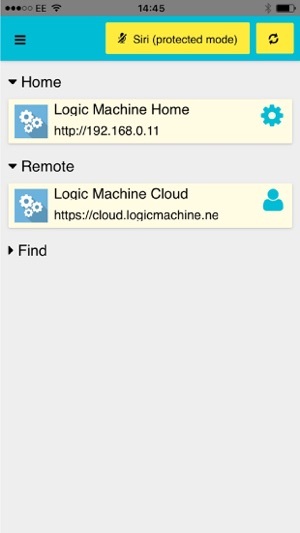 - Remote connection allows to log in to Logic Machine Cloud. Secure and encrypted connection to control your home remotely. 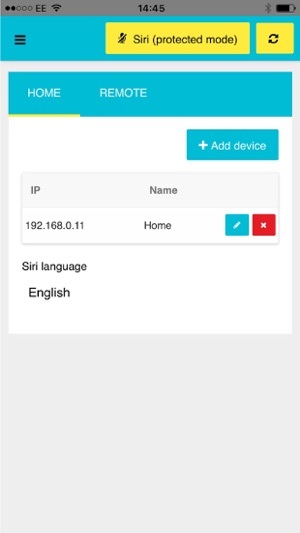 - Siri voice control is build in the app. Just via press of a button and simple command any feature in Logic Machine can be controlled. There is dedicated app in Logic Machine app store to configure all commands. User doesn't need to set anything on his device apart of enabling the feature. 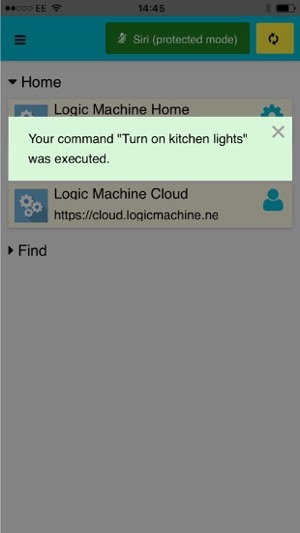 - Logic Machine can send push notification to the iOS device and notify about anything what is important to the user. 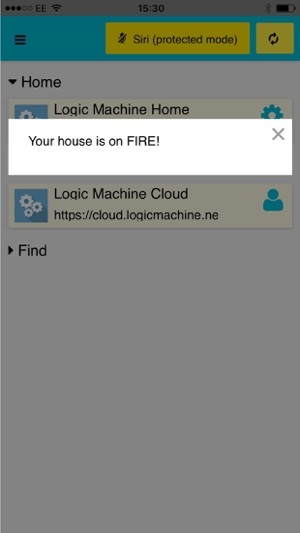 - App can collect any Beacon notifications from compatible devices. Single place to receive all notification from around. - Popup 'Logic Machine connected' is only shown when Siri voice is enabled. - Scan can be switched off via scan button.